Today was an extremely long day. I made it 24 miles even with a little wind blowing against me. I think I crossed 5 lakes today. The best thing to do when crossing a lake is to completely ignore the other side! While I was in Bemidji, a man and his daughter paddled up in what I think were Kruger canoes. He gave me some excellent advice about ballast and the wind. Experienced paddlers know these things already but I knew nothing of the sort. 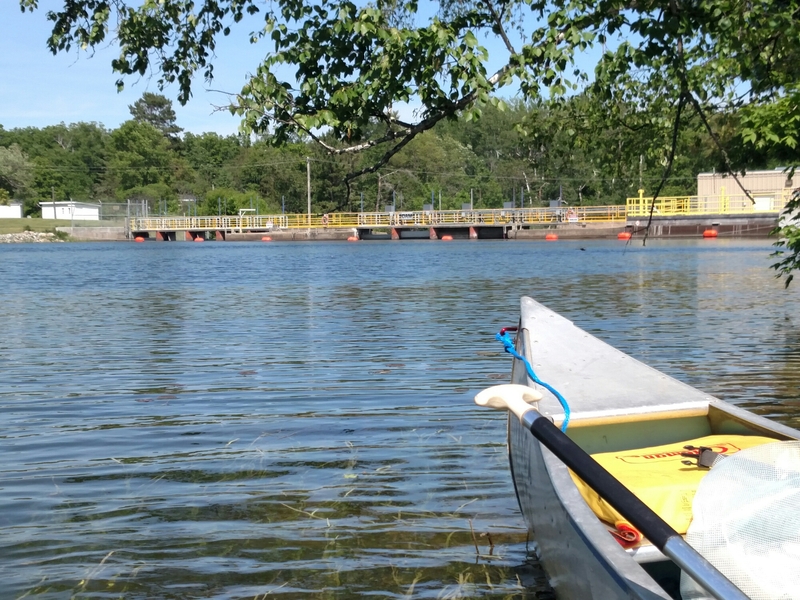 Basically, I was sitting in the rear of the canoe and my gear and water were in the front. I had the right idea. The only problem was my gear weighed maybe 100-150 pounds and I weighed in at about 240 pounds. This caused the front of my canoe to sit high out of the water and the rear low. Any wind at all and my canoe was basically a weathervane. I learned this very quickly after setting sail across Lake Bemidji. The wind was probably blowing 20mph that morning and it was literally turning my canoe around 180 degrees no matter how hard I paddled. 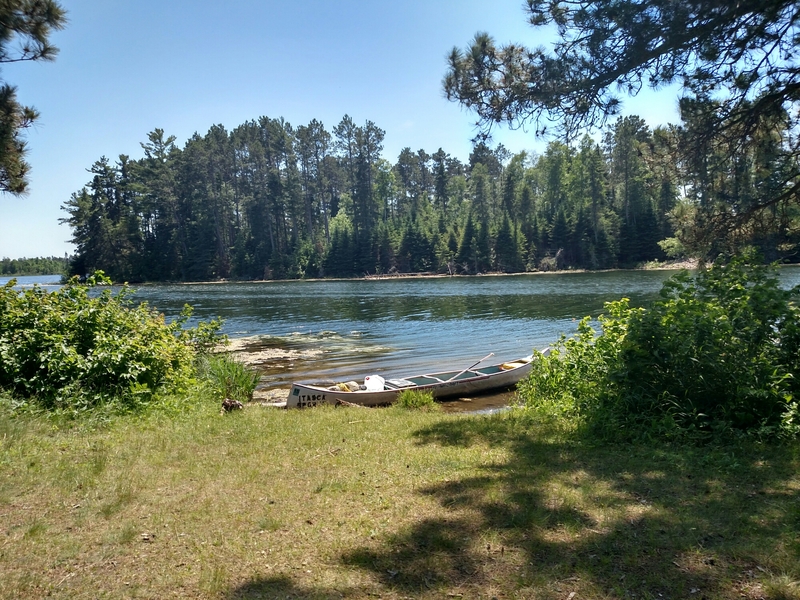 Remembering the advice I was given, I heading to shore and picked up 3 large rocks and placed them in the front of the canoe. Worked like and charm it was smooth paddling from that point on. Of course, I had to find new rocks every time I portaged. 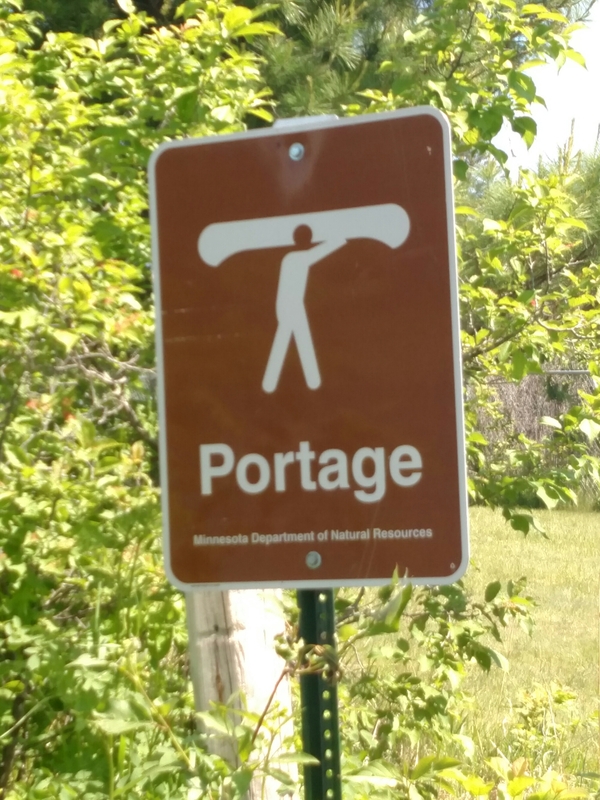 I had one portage. It was only a couple hundred yards. Not bad. That being said, I’m going to go ahead tell you to bring portage wheels that can handle a fairly heavy load. Met a really nice family tubing at the portage site. We talked about fishing. Damn, I really want a fishing pole! I saw my first bald eagle on this trip! It was being attacked by a small blackbird. I also watched a deer swim across one of the smaller lakes. Falling asleep… More updates in the morning.